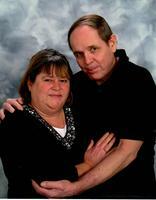 Provide comfort for the family of Kathleen Solles with a meaningful gesture of sympathy. Kathleen R. Solles, age 65, of Janesville, passed away Sunday evening, January 27, 2019 at Mercyhealth Hospital & Trauma Center. She was born October 30, 1953 in Virocqua, WI, the daughter of the late Albert & Rosella M. (Hanson) Ellefson. On June 27, 1970 she married Robert L. Solles in Janesville. He preceded her in death on May 13, 2016. Kathy was a very loving and devoted wife and mother. She enjoyed taking her many vacations with her family and friends. She was able to travel and see the sights all over the world. She was an avid collector of Fenton Glass. She will be remembered most as a very determined and strong-willed person. She also was a very caring and generous lady who was there for anybody who needed a helping hand, a listening ear, or shoulder to lean on! Kathy is survived by her 2 sons, Rob (Michele) Solles, of Baraboo, WI, and Tim (Pam) Solles, of Janesville; her 5 beloved grandchildren, Jasen Solles, Austin Corey, Zachary Solles, Elizabeth Solles, and Ryan Solles; her 8 siblings, Al (Betty) Ellefson, Debbie (Don) Thoftne, Kenny (Patty) Ellefson, Clint (Kathy) Ellefson, Tammy Dickman, Dawn Castle, Shawn Shabazz, and Steve Ellefson; and by many nieces, nephews, and friends. Besides her husband and parents, she was preceded in death by her brother, Douglas C. Ellefson, on October 30, 2018. Funeral services will be held at 12:30 P.M. on Saturday, February 2, 2019 at the MILTON LAWNS MEMORIAL PARK CHAPEL, with Rev. Jerry Amstutz officiating. Entombment will follow in Milton Lawns Memorial Park Mausoleum. Visitation will be from 11:00 A.M. until 12:30 P.M. on Saturday at the CHAPEL. To send flowers in memory of Kathleen Rae Solles (Ellefson), please visit our Heartfelt Sympathies Store. 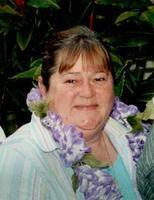 Provide comfort for the family of Kathleen Rae Solles (Ellefson) by sending flowers. Kathy helped train me when we both worked for Fotomat way back when. She was one smart cookie and had a delightful sense of humor. My condolences to her family on the loss of such a fun lady. Rest in peace, Kathy. Rest in peace Aunt KATHY may you and uncle Bob walk hand in hand in Heaven for all eternity. You will be missed by many.